This is the statement Pep Guardiola made at a press conference today in Riva del Garda (Italy). You can view the video below. 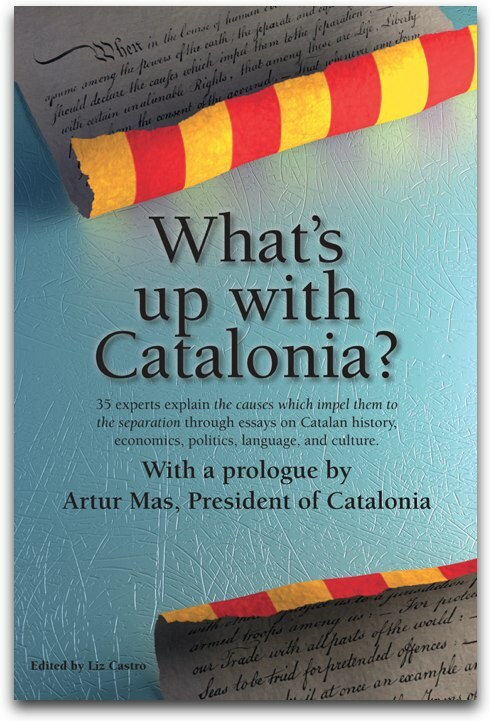 (Note that the question was posed in Catalan by Matías Manna, a non-native speaker of Catalan—in Italy!) Thanks to Dani Carles for the transcription into Catalan. The translation to English is mine. Hi, good afternoon, Pep, what do you think of the Santos of Brazil's vice-president's statements? I don't know that man, I haven't had the chance to meet him, I've never been to Brazil, and during the World Cup in Japan that we won 4-0, I didn't have a chance to meet him. Probably his intermediaries are very, very wrong. The information that they've passed on to him is very, very incorrect. That is, I wouldn't ever dare to make a statement like what he has suggested that I said. Three years ago, I spoke with Neymar on the phone when I was the coach at Barcelona because President Rossell told me to call him to see if there was any way to convince him to come to Barça, and so I did. And the only thing I did was to try to convince him to join us. At the last FIFA gala in Zurich, I did bump into him, we were chatting, and we were chatting about football, about the Santos game, and what he thinks about football. When I became the coach at Bayern, I wanted to know what his situation was, because after talking to him on the phone years before I wasn't sure what the situation was and I wanted to ask what the situation was and if he had really signed with Barça, and if he hadn't signed with Barça, where he wanted to go, and I wanted to meet him and I set up a meeting in New York with his father. After five minutes it was clear that he wanted to go to Barça and in each of those three encounters, the first one, the one in Zurich, and the other, I told him twenty times that what he should do was to sign with FC Barcelona. And the three times that I talked to him, Tito Vilanova's name never came up, ever. It's not for me to say whether he's capable or not because he has been my assistant for five years, and last year, what he did, with the most successful league in Barça's history, is enough evidence so that it doesn't matter whether I say he's capable or not. Good players are capable of playing together always, and these two will also be. During this year, I finished up with Barça and I only asked the president one thing: that I would go 6000 kilometers away and that they leave me alone, and they couldn't do it, they were unable to keep their word. They didn't keep their word. I did my stretch, and then I left. It wasn't their responsibility. It was me who decided to leave. So, I went 6000 kilometers away. They should do their own jobs, and be happy with the players they have. They should do what they do and I wish them all the successes in the world, because in the end those successes also belong to me in the smallest way because I don't have to explain what this club means to me. But there have been too many things this year that just crossed the line. Using Tito Vilanova's illness to hurt me, that, that I will never forget. Because I saw Tito Vilanova in New York. And if I didn't see him more, it's because it wasn't possible. But not because of me. And to imply that I don't want things to go well for a colleague who I worked with for so long and who has helped me so much, that is just in very, very bad taste. I didn't expect it. From any of them. When I was at Barcelona, and I want everyone to know this, I did the best I knew. The best I could. With all my will. And the decision, I made myself, they can rest easy about it. Those in the front office, as much as the coaches, and everyone else can rest easy. And do their jobs. It was me who left. There is nothing, I don't have anything to complain about them, I simply told them: please leave me alone, I'm going to live with my family, to learn English if I can, and instead of English I ended up learning German. It's the only thing that I've done this whole time. The only thing that I ask them is this, that they go their way and let me go mine. That they stop using my friendships or my friends to hurt me. And if I want to go to dinner with Johan Cruyff, I'm going to go to dinner with Johan Cruyff. And if I want to hang out with... I don't, I don't, I don't owe anybody anything. I did my job the best I could. The rest of us, please, let them spend their time, making the best team they know how to make and I will give them a hug when I see them at the Audi Cup. If we meet at some other European competition, and anything good that can happen to Barça, that will make me happy. But there are things that I will never forget, ever. And one of those, one small thing. What the Santos president said is just a little thing. There have been others that there shouldn't have been, they shouldn't have started. They're happy. They are Barça coaches, they're in there, they're the president of Barça, and they're inside, and they should enjoy it like I enjoyed my piece of it and my time in there. I hope they enjoy it. And leave me alone to enjoy my job and to try to convince these amazing players that Bayern has given me, to try to do the best we can. The rest of it, it's about time, they, that they leave it. And if out of everything that I've said, out of everything, there's something that isn't true, let them come out and refute it. But they should come out in the open. Not intermediaries from Santos or friends of theirs from Barcelona. They should come out themselves and deny what I've said now, and what's not true about it. Then we can continue talking about it. Until then, well, that, that they spend their time making the team work and enjoying it, and that they leave me alone. Hola bona tarda Pep, què penses de les declaracions del vice-president del Santos de Brasil ? Jo aquest senyor no el conec, no tinc l’oportunitat de conèixer-lo, no he anat mai al Brasil i al Mundial del Japó que vàrem guanyar 4 a 0 no vaig tenir l’oportunitat de conèixer-lo. Probablement els seus intermediaris estan molt, molt equivocats. La informació que li han passat a ell és molt, molt errònia. És a dir, no m’atreviria mai a fer un comentari com el que ell ha suggerit que jo he fet. Fa tres anys vaig parlar amb Neymar per telèfon quan era entrenador del Barça perquè el president Rossell em va dir que el truqués per veure si hi havia la possibilitat de convèncer-lo de venir al Barça i ho vaig fer. I l’únic que vaig fer va ser intentar convèncer-lo per venir. A l’última gala de Fifa de Zürich vaig coincidir amb ell, vam estar parlant i vam estar parlant de futbol, del partit del Santos i de l’idea que tenia de futbol. Quan em vaig convertir en entrenador del Bayern, vaig voler saber quina era la situació, perquè després d’haver parlat amb ell per telèfon anys enrera no sabia com estaven les situacions i vaig voler preguntar com estava la situació, si realment havia firmat pel Barça, no havia firmat pel Barça, on volia anar i vaig voler conèixer-lo i vaig muntar una reunió a Nova York amb el seu pare. Després de 5 minuts ja em vaig adonar que ell volia anar al Barça i en totes aquestes 3 vegades tant una, com a Zürich, com l’altra li vaig dir 20 vegades que el què havia de fer era anar al Futbol Club Barcelona. I en les 3 vegades el nom de Tito Vilanova no va sortir mai, mai. No és necessari que jo digui si està capacitat o no perquè ell ha sigut el meu ajudant durant 5 anys i a sobre l’any passat el què va fer, fent la liiga més exitosa de la història del Barça, és suficient argument com perquè digui jo si és capacitat o no. Els jugadors bons estan capacitats per jugar junts sempre i aquests dos també. Durant aquest any jo vaig acabar al Barça i al president només li vaig demanar una cosa, que jo me n’anava a 6,000 Km i que em deixéssin en pau i em deixéssin tranquil i no ho han aconseguit, no han complert la seva paraula. No l’ha complert. Jo vaig fer la meva etapa i me’n vaig anar. No va ser la seva responsabilitat. Vaig ser jo que vaig decidir marxar. Per tant, jo me’n vaig anar a 6,000 Km. I que facin la seva feina, que estiguin contents amb els jugadors que tenen. Que facin el que fan i que els desitjo tots els èxits del món perquè al cap (i a la fi) són també una mica part meva perquè no cal que digui el què significa aquest club per mi. Però hi ha hagut massa coses aquest any que s’han passat de la ratlla. Utilitzar la malaltia d’en Tito Vilanova per fer-me mal això, això no ho oblidaré mai. Perquè jo a en Tito Vilanova l’he vist a Nova York. I si no l’he vist més ha sigut perquè no ha sigut possible. Però no per part meva. I justificar que jo no vull que li vagin bé les coses a un company que he tingut durant tant de temps i que tant m’ha ajudat, això és de molt i molt i molt malt gust. No m’ho esperava. Tant uns com altres. Jo al Barcelona, que ho sàpiga tothom, ho vaig fer el millor que vaig saber. El millor que vaig poder. Amb tota la meva voluntat. I la decisió la vaig prendre jo, ells han d’estar tranquils. Tant els de dalt, com els tècnics, com tothom han d’estar tranquils. A fer la seva feina. Vaig ser jo que vaig marxar. No hi ha cap ... no tinc res a retreure-los a ells, simplement els vaig dir: si us plau deixeu-me fer, me’n vaig a viure amb la meva família, a aprendre si puc l’anglès i en comptes de l’anglès el què he intentat aprendre és una mica l’alemany. És a l’únic que m’he dedicat durant tot, tot aquest temps. L’únic que els demano és això, que segueixin el seu camí i a mi em deixin. Deixin d’utilitzar les meves amistats o la meva gent per fer-me mal. I si vull anar a sopar amb en Johan Cruyff, vaig a sopar amb en Johan Cruyff. Si em vull relacionar ... no tinc, no tinc ... no dec res a ningú. Vaig fer la meva feina el millor que vaig saber. La resta si us plau que es dediquin a ... a això, a fer el millor que sàpiguen que els abraçaré quan ens veurem aquí a l’Audi Cup. Si ens trobem durant la competició europea i tot el de bo que li pugui passar al Barça, a mi em farà feliç. Però hi ha coses que no les oblidaré mai, mai. I una d’aquestes, aquesta és molt petita. La del president del Santos és una fotesa. N’hi ha hagut d’altres que no les haurien d’haver, no les haurien d’haver començat. Ells ja estan contents. Són entrenadors del Barça, estan allà dintre, són el president del Barça, estan allà dintre i ho han de “disfrutar” com jo vaig “disfrutar” la meva part i la meva etapa allà dintre. Que la “disfrutin”. A mi que em deixin una mica lliure i “disfrutar” de la meva feina i intentar convèncer a aquests jugadors tant bons que el Bayern m’ha donat, intentar el millor possible. La resta ... ja els toca ja que ... que deixin. I que si, de totes aquestes coses que he dit, de totes, n’hi ha alguna que no és certa que surtin i que em rebatin. Però que surtin ells. Que no surtin intermediaris del Santos o amics seus des de Barcelona. Que surtin ells i em desmenteixin tot això que acabo de dir ara, de que no és cert. Aleshores seguirem parlant. Fins aleshores: que això, que es dediquin a fer funcionar l’equip i que “disfrutin” i em deixin una mica tranquil a mi. Is September 14th Catalonia's best day for a referendum? The big unknown about the process towards independence these days is the actual date of the referendum. There are many more issues on the table, like the question itself and the format of the referendum. But what seems to be on everyone's mind at this moment is just when this all-important step will be taken towards the independence of Catalonia. The legislative agreement between CiU and ERC establishes that it must happen during 2014. An analysis of the current situation and the political, social, and economic variables point to having the referendum on September 14. The specific date will be announced, according to the commitment made by CiU and ERC by the end of the year. The factors that might be taken into account when deciding on one date or another are the subject of this VilaWeb report: The seven determining factors for the date of the referendum on independence. The factors analyzed at that time were the date of the Scottish referendum (September 18, 2014), the EU elections (May 22 and 25), the budget and deficit ceiling, pressure from the community, an aggressive reaction from the Spanish, the possible economic collapse of the Government, and the World Cup in Brazil (June and July). All of these factors are still valid and will surely influence setting the date. But as the process moves a long, there is one date that stands out in conversations across party and civic organization lines. September 14th has a number of virtues that might just make it the best day. Some have proposed having the referendum at the same time as the European elections. But most believe that this confluence of dates would be considered inopportune in Brussels and would confuse the debates—that of independence with those about Europe—and there is no good reason to make them coincide. From this point of view, it would make more sense that the referendum not coincide with any other election. Holding the referendum before the EU elections would be hasty, according to government sources, since there wouldn't be enough time to prepare either the referendum or the campaign. One of the most common suggestions is that there be three months between the referendum and the EU elections—either before or after. If before is too soon, then it would have to be after, which pushes it to August 25th at the very earliest. Another factor to keep in mind that might determine the date is the Scottish referendum. Most people consulted by VilaWeb think it makes sense to hold the Catalan referendum before Scotland does (on September 18) in case the no vote prevails there. In addition, some informal opinions seem to indicate that the holding of the Catalan referendum before the Scottish referendum might favor both groups, assuming a pro-independence victory in Catalonia. That factor leaves very few possible dates for the Catalan referendum: either Sunday, September 7 or Sunday, September 14. The last important element to take into account is the closeness to Catalan's National Day, on September 11th. Some people think that if the referendum is held on September 7th, then September 11th can be transformed into a celebration of Catalan independence. But the truth is that September 7th would leave little time for the campaign, jammed into the last days of August (when much of Catalonia is on holiday). In contrast, holding the referendum on September 14 would allow the campaign to take place mostly after the vacation period. In addition, the celebration of the National Day on September 11 could well serve as a magnificent opportunity for showing the strength of the pro-sovereignty movement just three days before the referendum. In addition, having the two referendums in the same week—September 14 in Catalonia and September 18 in Scotland—would completely focus media attention on both country's drives for independence. With the prologue of a great show of strength on September 11th, the media of the entire world would likely report on the pro-independence will of both Catalans and Scottish. Some also think that international media attention would favor the independence option in Catalonia, and would weaken any obstructionist strategies from Spain and any attempt at prohibiting the referendum outright. The president of the Spanish government, Mariano Rajoy, “will receive and read with utmost attention”, when it arrives, the letter from Catalan President Artur Mas, which will ask that a referendum on independence be held in Catalonia. That's what Rajoy said in a conversation without microphones with journalists in the hallways of the Spanish Congress. At any rate, he will not make any declarations about the format of the response that he will give, if any. He also said that he would have preferred that there not be a photograph of the Camp Nou full of people in favor of independence. Mariano Rajoy doesn't want to give any advance notice or add any new elements to the debate on the referendum in Catalonia, and will wait for Artur Mas’ letter to get to him—in which five possible ways of celebrating a referendum will be described—in order to decide what kind of response he will give to the Catalan President's petition. According to his comments, Rajoy will first “receive” the letter and then he will “read it with utmost attention”. For his part the Executive Councilor of the Catalan Government, Francesc Homs, said today that Mas’ letter to Rajoy will not be forwarded to international organizations, like the EU or UN, as requested by Esquerra Republicana. “It should not be sent to international organizations. It's for the Spanish president, and is an attempt at opening a dialogue. We are already educating international organizations and telling them things,” said Homs. The government spokesperson did say, however, that the letter would be made public.